After the Lenovo A6000 Lollipop Update we lost the CWM/TWRP recovery and then we cannot flash the old one anymore on it. 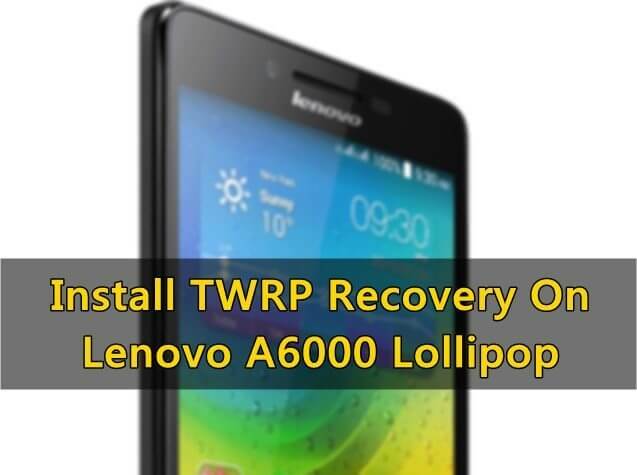 Now you can install TWRP recovery on Lenovo A6000 Lollipop updated the phone and then you can again revert back to your old Kitkat Rom on Lenovo A6000 or install any custom ROM. It is even possible to root your device after you install TWRP on Lenovo A6000 which is running on Lollipop 5.0.2 or above. WARNING : Rooting or installing a custom rom or recovery might brick your device or your device may act abnormally and you also lose the device warranty. You may even get a dead SD card which might not work or you can leave your device in a dead state. Before going through the entire tutorial please be advised that it is your own responsibility to go further. We’re not liable for any loss of data or any property of yours by any mean. Connect your Lenovo A6000 smartphone to your PC and install the application (CDROM) which you can see in your My Computer/This PC. Step 2: Copy the recovery.img file to C: Program Files (x86)Minimal ADB and Fastboot orC: Program FilesMinimal ADB and Fastboot directory. Once you get the finished message you will be taken to TWRP menu on your Lenovo A6000. You have now installed the custom recovery on your Lenovo A6000 Lollipop updated phone, TWRP recovery will help you flash custom ROMs or stock ROMs. You can even revert back to Kitkat on Lenovo A6000/Plus also if you want to stay in Lollipop 5.0.2 then you can root your device by following the rooting guide. choice FS (ext2, ext3, ext4, f2fs, exFAT, fat32) to formatted partition ..
Root using kingroot v4.0.0 and if u want Superuser, download flashify and Grant root permission and flash recovery. Img file , then reboot unto recovery and flash SuperSU.zip . My Lenovo A6000 is not rebooting into fastboot. It gets stuck on the starting screen. Install the drivers on your pc. i did all the steps to flash the recovery. but when i restart the phone to enter the recovery, it enters the stock recovery. volume (+) home and power buttons in same time for 10sec. i have this idea bro contact with me………..
i want to downgrade to kitkat from lolipop running on A6000_0001_151030,is above methol works? is thw twrp.recovery.img works on a6000plus? is the twrp.recovery.img works on a6000 plus? its failing.. saying dtb not found.. why would that happen and how to resolve this? i have a backup before the lolipop update but using cwm how can i restore it ? U should boot as normal. u should try fastboot flash recovery recovery.img hope it will work. Not able to find TWRP file, someone can help me to get the file. i have bricked my phone, My recovery isnt working its stuck on recovery boot logo and when i tried flash using twrp, i did flashed data, dalvik and cache after that i did a system reboot and now its stuck on boot logo. so situation is i am not able to in recovery or either normal boot. its just stuck on boot. i am not able to connect it to the pc bcs. i am not able to go in boot or in recovery. Can u made available digital Dolby Atmos for Lenovo a6000 plus or cwm as twrp is unable to read internal storage of my device all d tike i have to use external card. i have done the backup process in lollipop using twrp… there is a option in twrp to restore … but in the restore method the restore file not showing…… the thing is .. is there any way to restore in lollipop using twrp..
then i can install other roms..
fastboot boot recovery.img but it does not working no stock recovery even. Try this-“fastboot flash recovery recovery.img” where recovery.img is the name of the recovery. twrp is not working properly…my phone got bricked only because of twrp….clockwork mode is better.. I want to go back to KitKat.. In twrp when flashing any rom..
First it says for checking md5 and i want to know that in stock lf KitKat there is md5 file.. I tried this method for rooting and install recovery,but after reboot When I am going to recovery , it takes me into stock recovery.Please give a solution for this issue.I am unable to root and install recovery after lollipop update. You need to re flash it again. yes i’ve installed all the drivers..PAD drivers also…phone is getting detected by adb and taking all the comands but when “fastbooot boot recovery.img ” command is given it is showing “error:dtbnot found”..searched for so many hours to solve this proble..got so many solutions.but no one is working. admi plesae tell me one thing..is there solution for briced lenovo phones .? iam trying to unbrick my phone from 4 days….working on this problem for nearly 3 hrs a day..if there is no solution, then i should wait for 15 days then service center members will repalce my mother board..every time i visited the sevice center with this bricked phone they are saying that there is a problem on moher board..
really frustated on roms..if there is no solution, then who is dare to do this kind of experiments..? 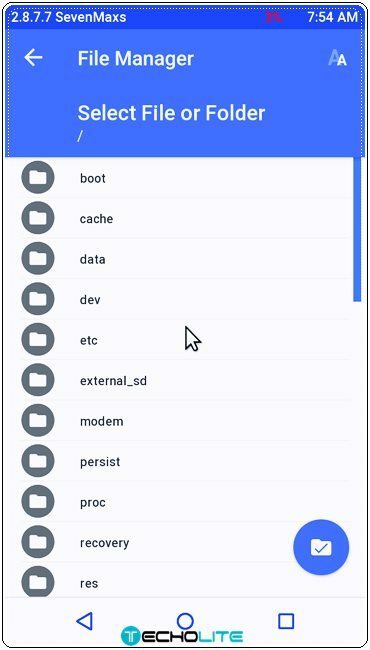 You have to use the command “fastboot flash recovery recovery.img” instead of ” fastboot boot recovery.img”.